Earning your Continuing Education Credits needn't be a chore. Catherine's enthusiasm for bringing evidence into practice is contagious. She uses her experience as a teacher and performing artist to create CEC's that will capture your attention and make you excited to put new techniques into use. Catherine is the Anatomy and Physiology instructor for Bloom Yoga’s 200 hour Teacher Training program, and loves to provide new Yoga teachers with the tools they will need to keep their students safe in their embodied practice. As a Women’s Health specialist, Catherine serves as faculty for Amala School of Prenatal Yoga, presenting on Anatomy, Physiology, and Exercise Science of Pre- and Post-natal Yoga as part of an 85 hour Prenatal Yoga Teacher Certification. 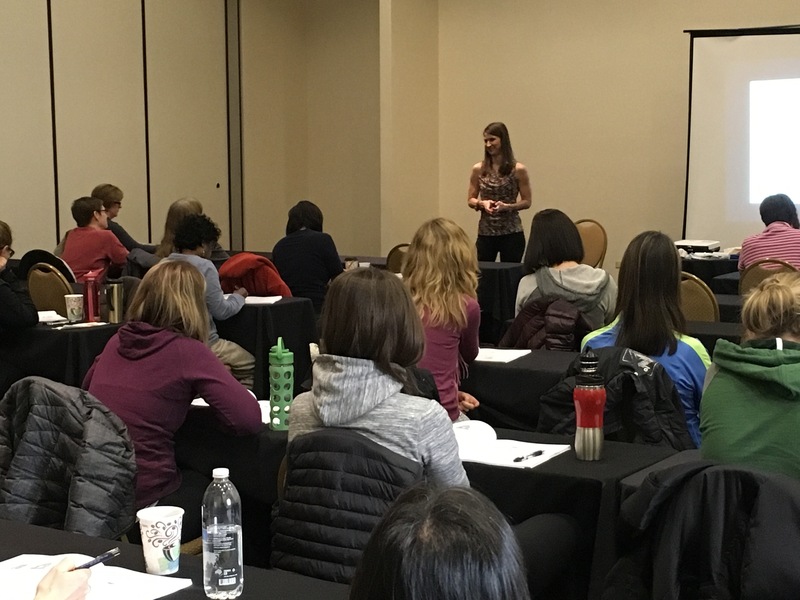 Catherine's Workshops are designed for teachers and students who are interested in applying current concepts of exercise science, physiology, and injury prevention to a physical yoga practice. Catherine is a Yoga Alliance continuing education provider (YACEP) and teachers who are registered with YA can claim CE credit for attending her workshops. Very clear, inspirational and motivational. Passionate about her subject. Great teacher and course! Catherine is an energetic, bright, and passionate facilitator. She makes class fun and enjoyable! This instructor is great! I will be taking more courses with her. She has the ability to communicate information in an interesting manner. I think this is the best instructor I have ever taken a (continuing education) class with! Excellent speaker with a nice balance of lecture, lab, and shared case scenarios.